Hey sassy ladies we have discovered yet another store for wedding in shopping in Amritsar. Yes! We love going out in the streets to find out new labels and boutiques for you all, so this time it was Amritsar. The land that is blessed with strong beliefs, delicious food, soni kudis and how can we forget the impressive sense of style. And, when it comes to bridal wear, one cannot stress enough that Amritsar has a lot to contribute. In the beautiful lanes of Amritsar, we found a label that would make wedding shopping in Amritsar so much fun. We are talking about Ambre Studio and if you haven’t heard about it, you are missing some major bridal couture. 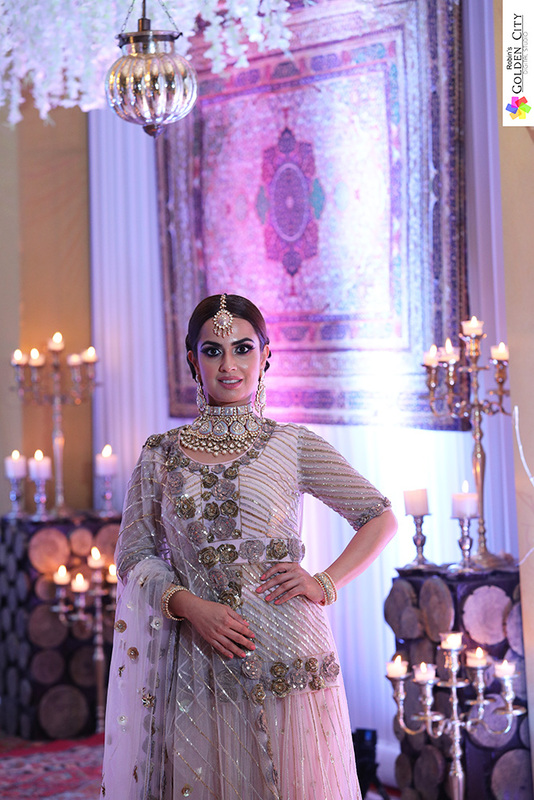 Whether heavy Punjabi wedding suits are on your mind or you desire a traditional lehenga, you will find everything at Ambre Studio. 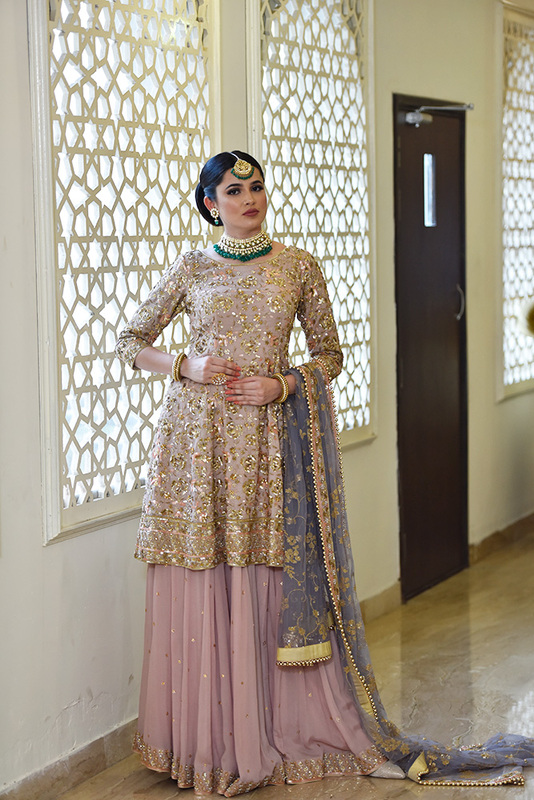 Amritsar is famous for many things and we are sure that after checking out these gorgeous dresses by Ambre Studio, bridal shopping in Amritsar will be added to that list as well. Ambre Studio is famous for their use of silk. They use every kind of it including dupion silk, raw silk, Chinese silk, short silk and silk crepe. Silk is one fabric that never goes out of style. It has a special place in the world of bridal couture down South. Silk sarees are passed on from generations to generations. Ambre Studio has given the silk wear a modern touch and has perfected it according to the taste of the modern bride. 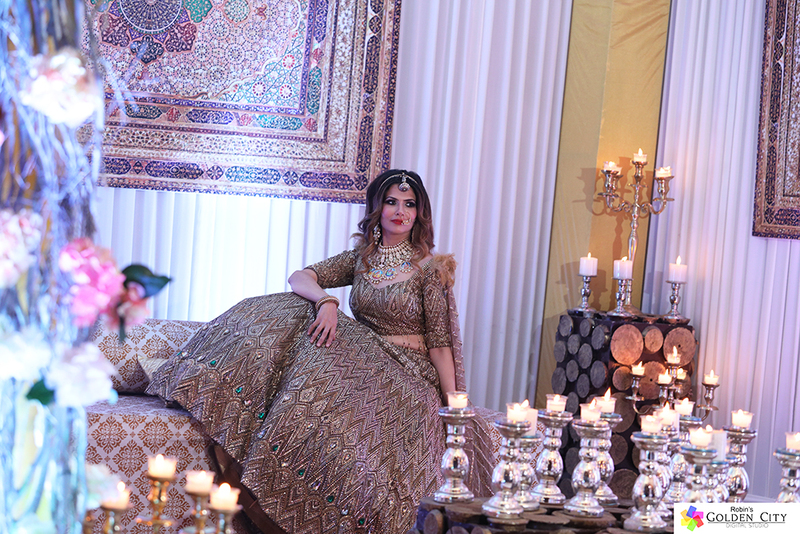 Punjabi brides love to experiment with their outfits. They tend to favour suits over anything else. For the best and most unique wedding suits in Amritsar, you should head to Ambre Studio. Other than your regular heavy suit, you will find fusion wear as well. 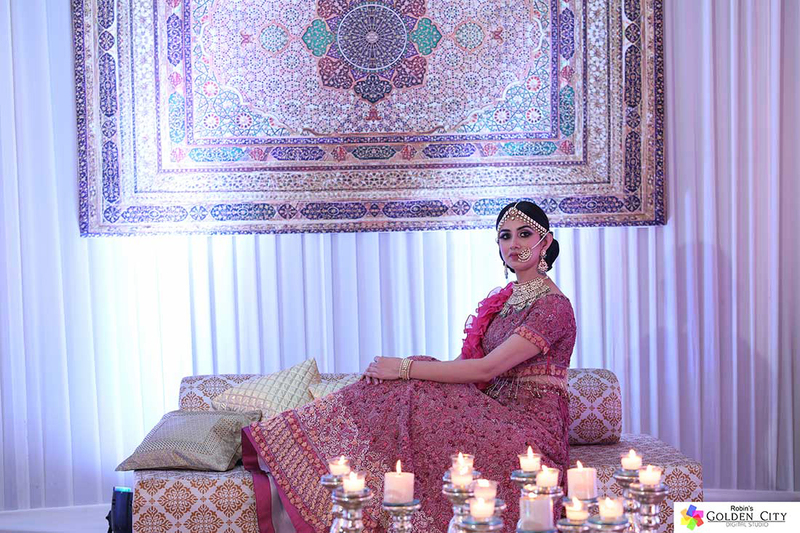 Like this outfit which has an embroidered kurta teamed up with a light lehenga. Isn’t this the best of both worlds? Just like you and your partner, there are a few colour combinations that complement each other well. 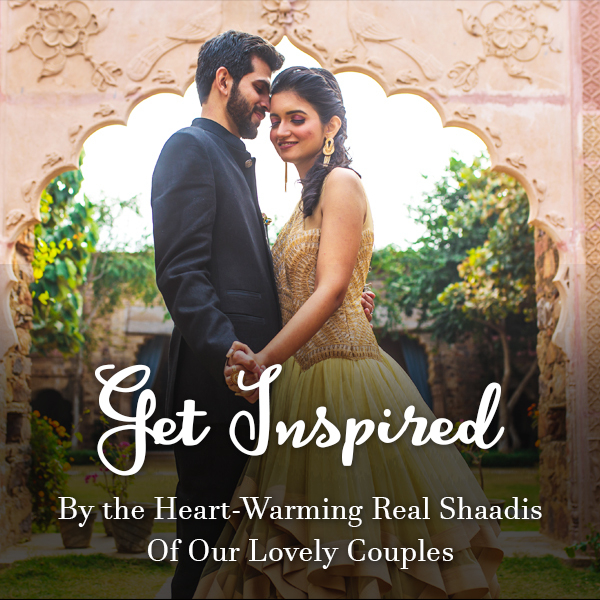 Ambre Studio understands their lyrics and put them together to make the best bridal wear for you. 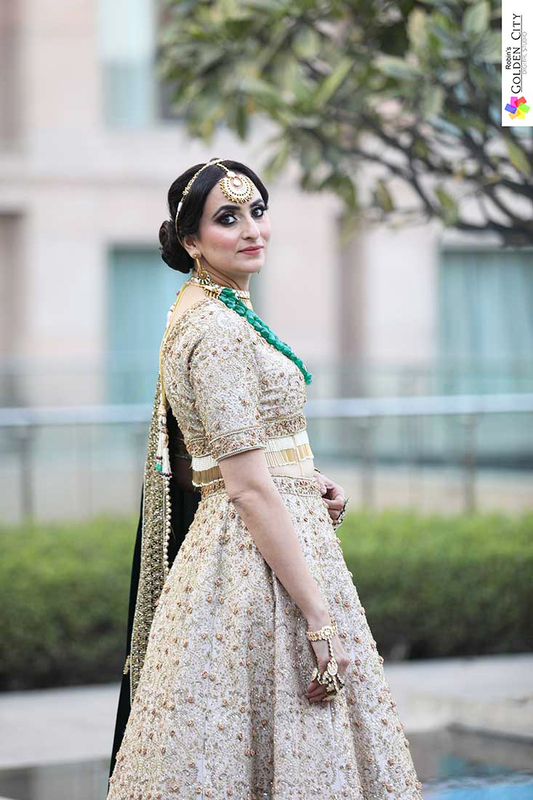 Look at this gorgeous piece and you will agree that Ambre Studio is one of the best lehenga shops in Amritsar. 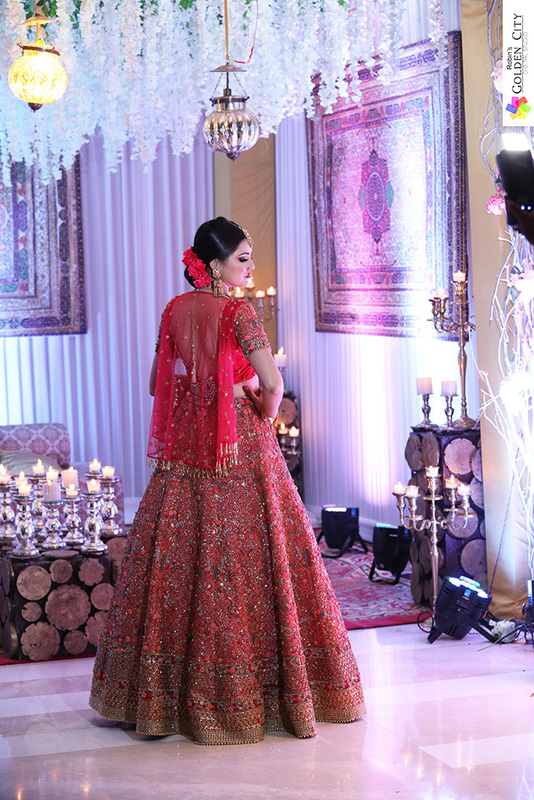 This carefully embroidered lehenga has both the favourite colours of every Indian bride; red and orange. These colours are brilliantly held together by a sky blue coloured dupatta. There are two things that every female loves, that is, roses and the colour pink. This sharara was made keeping in mind their preferences. 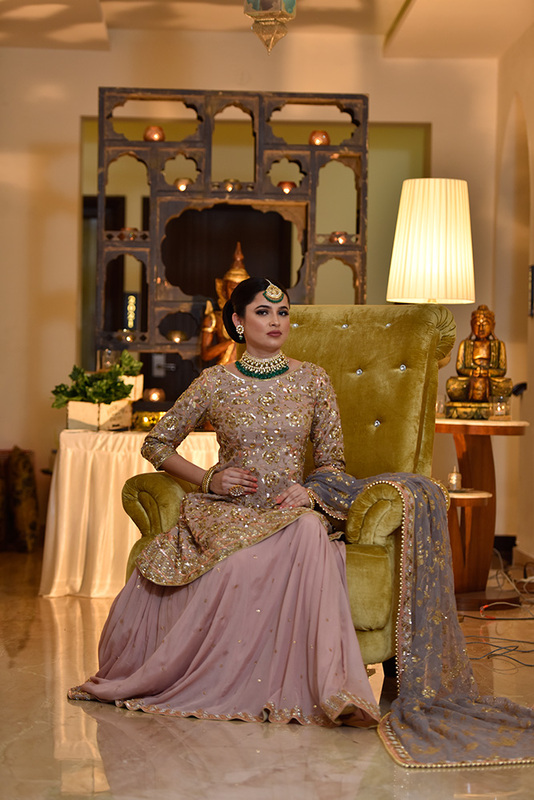 This powder pink coloured sharara has a jacket style upper with a belt. The detailing of handmade roses on the dress is a sight to behold. This would be the perfect pre-wedding dress for all the brides. 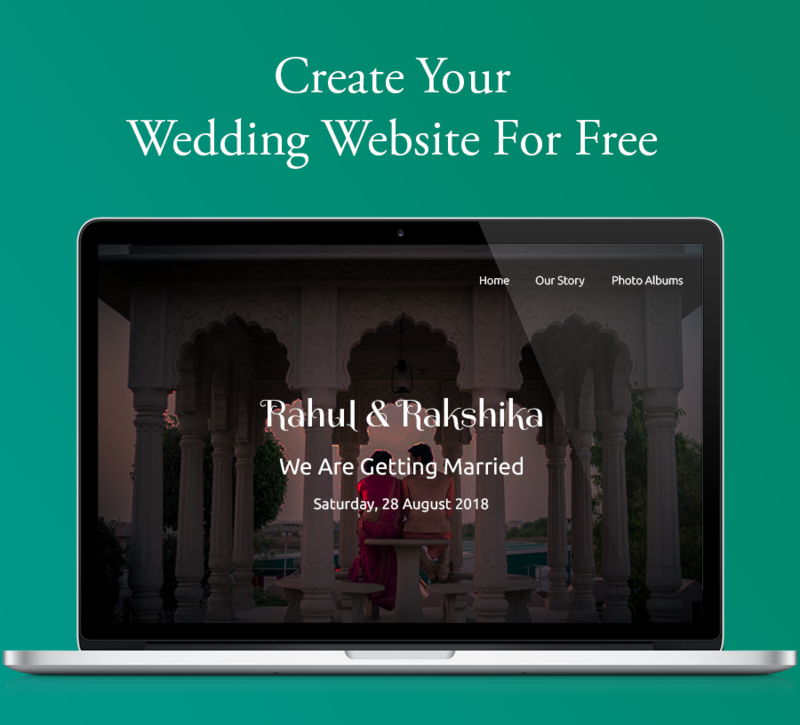 One thing is there that always catches the attention of the bride, it is the overall work. Bridal couture is expected to have a lot of work on it and these lehengas stand true to that definition. The overall embroidery work and the detailing of the tassels is simply commendable. You can get these lehengas in two colours and both look absolutely beautiful. You have been a princess throughout your life and now it’s time to be a queen. 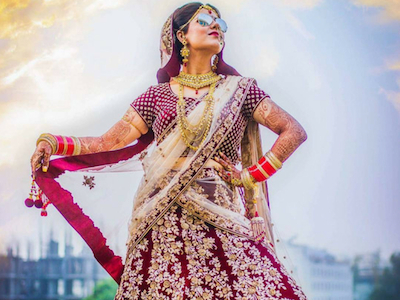 This regal lehenga by Ambre Studio is exactly what you need if you want to give a tough competition to all the A-lister brides. This red bridal lehenga with a light green dupatta has the perfect embroidery to suit the status of a queen. Manish Malhotra popularised golden colour in bridal couture and now, Ambre Studio is here to give it a tough competition. This sequin lehenga can give any big label a run for its money. The geometrical pattern gives it a modern touch. This will make the perfect wedding reception dress for the modern bride. 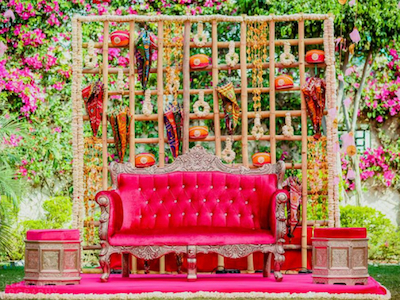 Carrying a long train has become the ‘it’ thing in the wedding world. 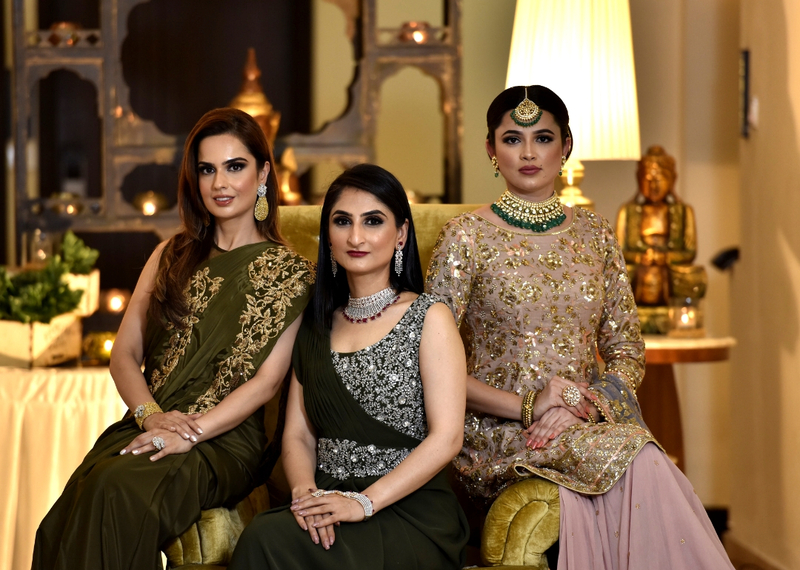 After Meghan Markle and Priyanka Chopra’s famous long trains, Ambre Studio has brought you their take on it. 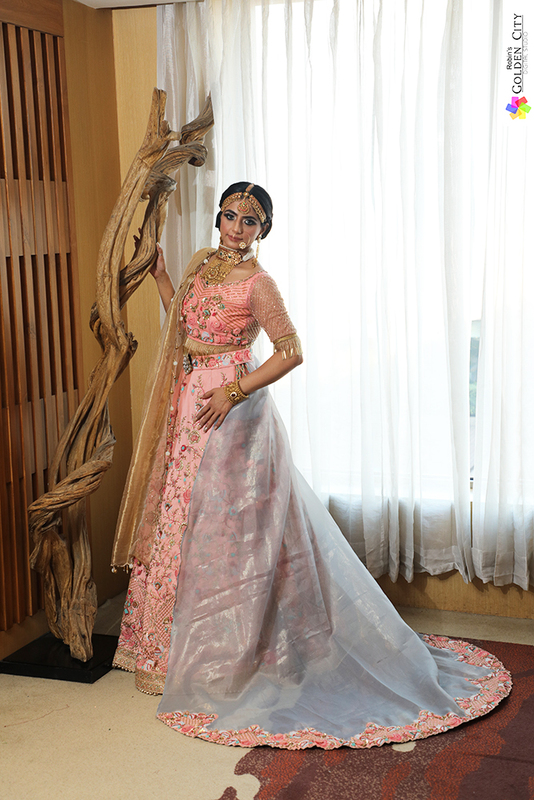 This light coloured fusion lehenga has a special train that will make any event magical. Ambre Studio might not be a Bollywood label but it is no less. 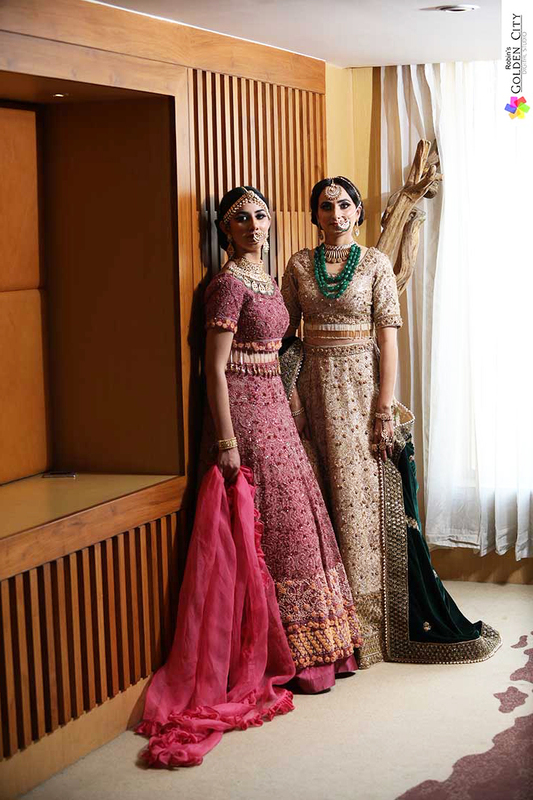 Their thoughtful line of bridal wear has been designed around the wishes of the brides. From traditional to modern, you will find everything that a bride needs at Ambre Studio Amritsar.